I have been searching for natural methods to care for our rose bush. Not really a bush. It’s a Don Juan climbing rose. I’m looking because I feel a bit guilty for how I have cared for this forgiving plant. This all started because I neglected to cut back our Don Juan roses this past winter. Long and leggy after last years growth, the canes were bare and hanging out from their trellis 4 to 5 feet. Hanging out ready to grab anyone nearby. And, as often happens when we put off pruning, the roses decided to NOT wait on me to prune them before they bloomed. This sturdiness is one of the things that I like about Don Juan roses. I can neglect them off and on and they still grow and bloom. Roses 4 to 6 inches across and velvety red. Still, what needs to be done has to be done. They needed to be chopped. Carrying this guilt, I gave them couple of weeks to put on a show. It’s too bad the fragrance cannot be captured in these photos. Before you ask, yes, I do stop to smell the roses. Especially since these are at our front door. Anyways, I “pruned” them yesterday. Now, this the point when many of us say…”I sure hope it comes back”. Of course, inside we know that it will, but there can always be that wondering thought. “How strong is this plant that I just severely pruned? Having removed the majority of the canes, I start thinking about how I would like to take care of this plant. Out of guilt? Because I never want to see plants die? (except for the weeds) Or because I know that if I give this rose some quality care it will return with more vigor and beauty? Whatever the reason, the search for organic rose care tips and food recipes began. Below are some of the tips and results for homemade rose foods that are readily available on the web. If you are unsure what type of soil you have, get a soil test done. Knowing a bit about your soil will be helpful in your planning. Banana peels work great. Smash the peels flat and bury them 4-6 inches at the base of the plants. They provide a nice shot of potassium. Coffee grounds help most slightly acidic plants thrive. Most roses like slightly acidic soil. I know a man who swears by feeding his roses lawn fertilizer a couple of times a year. I can only say that his roses are always blooming profusely and the foliage looks great all the time. Fish tank water can be high in nitrogen. The roses will love the shot of nitrogen. However, if the water has been sitting in the tank for a lengthy time or is moldy, do not use it. We’re talking about regular fish tank water changes. Include bone meal in your mix. It is a good source of phosphorus. Root growth will benefit. Kelp and green sand are good potassium sources. Your plants will withstand disease and cold better with the help of potassium. For the recipes, here are a few that I plan to test. and 1/2 part bone meal. Mix up a little or a lot and combine it with your favorite well rotted manure. Mix the ingredients well. Then sprinkle and work the mix into the soil around the base of the plant before watering. Yet another popular mix requires a few more ingredients. Mix the ingredients together into a quart measuring cup . Then pour the mix into a 2 gallon bucket or watering can. Fill the bucket or can with water and use it as a foliage fertilizer. You can also pour it around the roots. 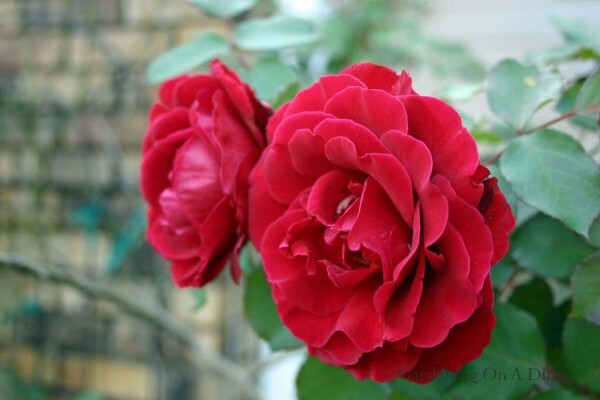 Give each small rose bush about 1/2 gallon. Larger plants can use a gallon. I hope you find these tips and mixes useful for your own rose feeding plan. If you have any more tips or recipes and care to contribute, your suggestions and ideas are always welcome. Roses are wonderful plants and worthy of our care and attention. To comment on Roland Browne’s statement…..Yes, nice people grow roses. But, I also believe that the time we spend caring for them makes us nicer and more caring folks. They can give us a better outlook on any of life’s situations. Muchas gracias por compartir tan valiosa información, me hubiera gustado encontrarla antes de que se me secaran dos rosales, no se si fue por falta de nutriente, por mucho o poco riego, no lo se. pero con los que me quedan voy a poner en práctica tan valiosa información. Muchas gracias, quiero que sepas que seré a partir de hoy tu más fiel seguidora. I hope this is translated correctly…..
“Thank you very much for sharing such valuable information, I would have liked to find it before I dried two roses, not if it was for lack of nutrient, by much or little irrigation, I do not know. But with the ones I have left I will put such valuable information into practice. If so, good luck with your remaining roses and thanks! Thank you for your helpful recipes, while they show teaspoon, tablespoons and gallons, I’m a little unsure how big a part is. My sister’s part of desert was always bigger than my part, and nowin my70’s the part in my hair, once a thin line is now a chasm. But these things do now help me with the recipe if you could kindly tell me how big your parts are I will be indebted, as will my roses. “Parts” can be interpreted several ways, depending on how much you need for how many plants. I usually use 1/2 cup as my reference for “1 part”. After applying, if it seems that I didn’t make enough, I simply mix another batch. If I am feeding several plants at one time, I increase the “1 part” to a full cup. Thank you for the “thank you”. Our Don Juan has been in the same spot for almost a dozen years. Some years, the blooms are huge and other years they are smaller. I have noticed over the years that the smaller blooms are much more fragrant. Will rose manure help other flower plants? What is rose manure? Please explain. I’m new at this. Where can you get greensand & gypsum? Is there another name for these? I’ve never heard of it. Is the alfalfa meal in pellets? Where would you get that as well. I have about 30 roses & have been using chemicals to spray & feed but I would really like to go organic. Your help would be very much appreciated. I live in Louisville, Ky.
I’ve only seen greensand available online. Both Lowes and Home Depot sell bags of gypsum for the yard. As for the alfafa meal in pellet form, try your local feed store. If you are lucky, the feed store may also have the greensand. I have many rose plant but the steam of plant come very late.So what can i do. What do you mean when you say “steam of plant come very late”? I have also noticed that a tbs of regular dawn dish detergent mixed in a 5 gallon bucket of water poured over the bushes help with disease and pest ALOT! Great idea. I’ve always believed in giving our plants a good cleansing shower every now and then. I had an old orange tree years ago and I would wash it down with soap and water from a hose end sprayer. That worked great for keeping the sooty mold at bay. I’ve never tried using actual fish but I’ve heard the same advise elsewhere. Years ago, I used fish emulsion on some newly planted palm trees and the results were pretty good. A little smelly at first, but not unbearable. Hi I am from South Africa where roses at their best between August right up toapril. Aspirin? A new one for me. Bananas and egg shells? More great ideas. Roses are great! From all over the world, folks love them, experiment with them, and find so many cool ways to take care of them. Thanks for your tips on how South Africans care for their roses. I have over ninety antique roses in my backyard. I would like a homemade fertilizer for my roses. I live in San antonio,Texas . What is the best climbing rose for our heat in summer? I’d like one that blooms all year, not just one time. Please answer this if you have the time. Thanks for commenting. I’m sorry that I am late in responding, but it was a beautiful weekend and I spent most of it outside. away from my computer. My goodness…..90 roses? With that many plants I would think that you could benefit from just about any of the recipes that I have listed in the post. Personally I like Sage Butterfly’s tip, in the comments below, with the bananas and compost. Good organic compost always seems to make things grow better, no matter what the plant. As for that perfect rose that blooms all the time, can handle the heat and not get black spot. ??? That’s a tough one for me to answer. Here in Florida, we have the high humidity and black spot to battle all summer. I think that’s why I’ve only ventured into growing the Don Juan roses. Good luck and please let us know which fertilizer program works best for you and if you have any luck with the Earth Kind Roses. The rose that was on the plant when you bought it does not count. Growers succeed when he/she produces flowering plants to sell. 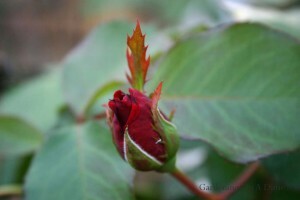 What type of rose are you growing? Does the sunlight it receives remain the same throughout the seasons? Instead of the manure packets, you might try some bloom booster (lots of phosphorous) or some well rounded rose food (organic and/or homemade, I hope). Thank you for sharing this cool info. I”m so excited to do a better job with my English roses. I so love them…. Thank you for the “Thank You”. Enjoy your roses and thanks again for commenting. Thanks for the tips! I have used bananas and compost for years and sometimes the water from soaking legumes. It is nice to see there are some additional things I can use.